Trek is excited to announce the unveiling of a Jens Voigt-themed paint scheme designed for the world’s most popular rouleur, just in time for the Amgen Tour of California. The all-new “Shut up Legs” scheme pays homage to one of cycling’s most respected competitors and a nod to one of the more popular post-race quotations attributed to him. Along with the famous quote printed along the top of the top tube, reminding its rider of the hardman’s philosophy of controlling the body with the mind, a weathered wolf’s head is emblazoned on the seat and head tubes, speaking to Jens’ uncanny ability to seemingly always lead the pack. 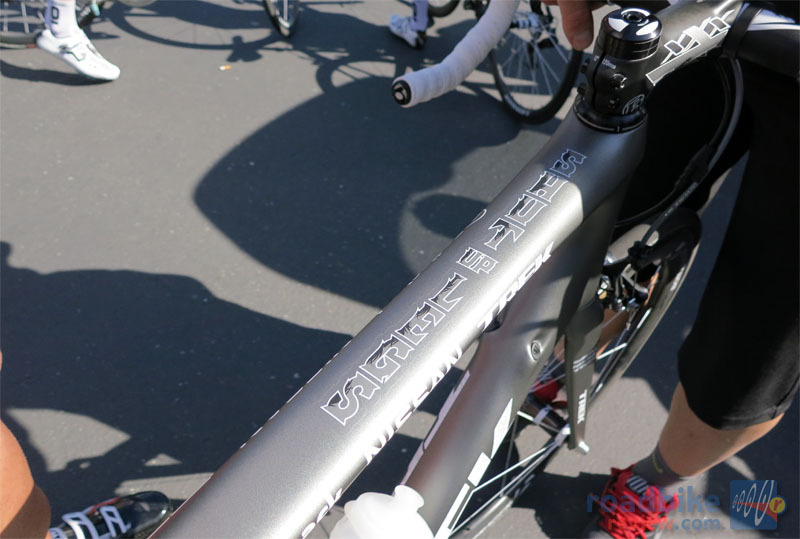 The bike also incorporates amazing statistics from Voigt’s long career as a professional cyclist, with the numbers hidden inside the fork legs and within the downtube logo. 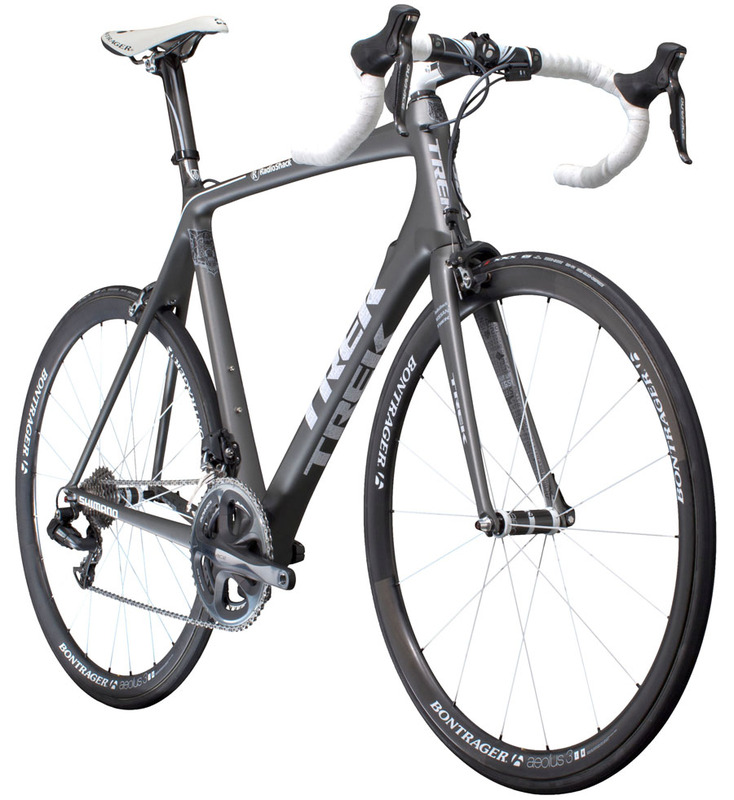 The bike will be raced at Tour of California, with a replica on display at Trek’s festival space at each stage. Voigt’s bike is the latest edition in a line of rider-inspired paint schemes crafted by Trek’s in-house Creative Design Studio. 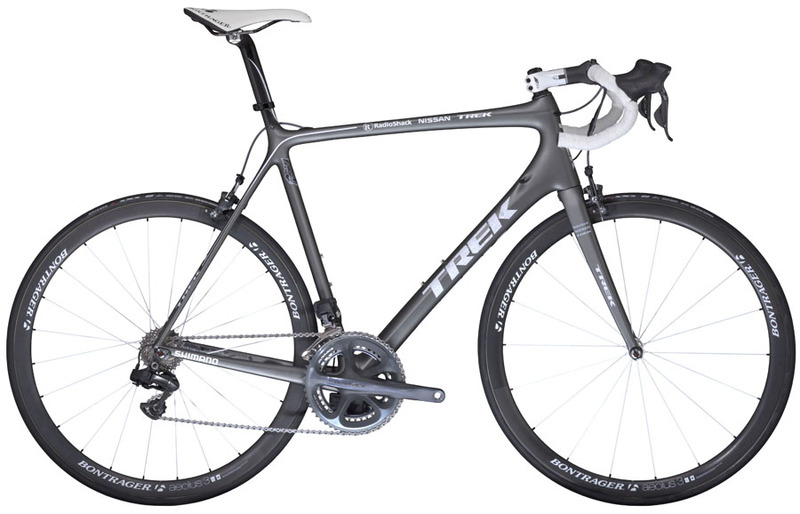 Last year during the 2011 Tour de France, Trek unveiled limited-edition paint schemes for Frank and Andy Schleck as well as the popular “Spartacus” bike for Fabian Cancellara. 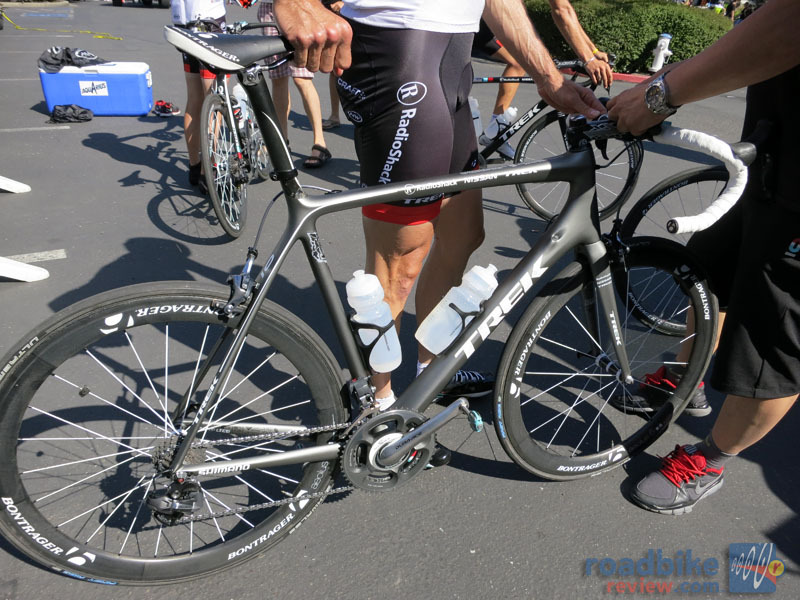 First Look: New Trek Émonda, world's lightest production road bike?